Poll results released Monday by Corporate Research Associates suggests the Liberals are still the preferred provincial party of voters in Nova Scotia, but the Tories, NDP and Greens are gaining ground. Corporate Research Associates released poll results Monday that suggest a significant drop in popular support for the Nova Scotia Liberal Party among decided voters. According to the poll, conducted between Feb. 2 and March 1, 44 per cent of those asked said they would vote for the Liberals. That's down from 56 per cent in November. A 12 percentage point drop over a three-month period might be more worrisome if the gap between the Liberals and their main rivals wasn't still large, said Don Mills, CEO of Corporate Research Associates. "The split in support among the opposition parties is such that neither party is that much stronger than the other to make a real run at the government," he said. When it comes to support for opposition parties, pollsters found a split. Progressive Conservatives: 28 per cent, up from 20 per cent. New Democratic Party: 23 per cent, up from 19 per cent. Green Party: Five per cent, up from four per cent. Mills said the latest results would be encouraging for Liberal strategists pushing for an election call this spring, rather than next fall. "I think the numbers are strong enough now that they would still likely win a majority because their support is at the same level as it was basically when they won the majority in the last election," he said. Mills said the premier now needs to make a tough decision. "Is this the beginning of an erosion of support that will continue?" said Mills. "Or have just gone down to another plateau as a result of the teachers' dispute?" Part of the polling period took place during mass demonstrations outside Province House by teachers upset with the Liberals for imposing a contract on them. 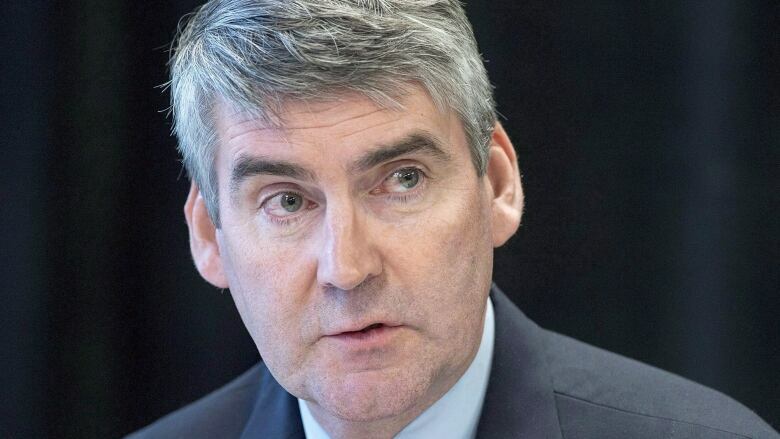 Mills pointed to other significant changes in the latest poll, including satisfaction in the government and Stephen McNeil's personal popularity. Both have fallen below the 50 per cent mark for the first time since the fall of 2013 when McNeil became premier. At 31 per cent, McNeil's personal popularity is down for the second consecutive quarter. That number was 38 per cent in November 2016 and 43 per cent in August 2016. Of those polled, 45 per cent indicated they were mostly or competently satisfied with the government's performance. That number was 53 per cent in November and 58 per cent last August. "This government has actually done pretty well in terms of satisfaction with their performance and voter support. In fact, really well," said Mills. "Normally most governments in Nova Scotia after a year, they're usually in trouble. This government has not really been in trouble and even now their numbers are still very strong relative to what they need to win a majority." Progressive Conservative Leader Jamie Baillie's personal popularity sits at 24 per cent, up from 20 per cent in November, while NDP Leader Gary Burrill is at 17 per cent, up from 11 per cent in November. Burrill, the only main party leader commenting on the poll results, said he sees some hope in the fact his party has seen growth — albeit incremental — since November 2016. "It's all in the trajectory," said Burrill. "The government is moving down and we're moving up." Meanwhile, 27 per cent of those surveyed said they are undecided, while three per cent refused to state a preference and four per cent either support none of these parties or do not plan to vote. CRA staff surveyed 1,210 adults in Nova Scotia by phone. The results are considered accurate within 2.8 percentage points, 95 out of 100 times.